Even among other luxury brands, Jaguar stands apart. With unparalleled sophistication and true class, these vehicles offer every driver an unmatched experience. The improvements from year to year seem to escalate, proving even a spectacular car like the 2015 Jaguar XJ can be refined further. The 2016 Jaguar XJ features more tech options, a revitalized design, and increased standard equipment. The 2016 Jaguar XF will have some stylistic changes, albeit subtle ones. The front of the hood will be altered, and the grille will take on a different appearance that’s more upright. The LED headlights are also slightly different, as are the daytime running lights. These aren’t big changes, but they embody the spirit of continuous improvement inherent in the Jaguar line. The restyle shows off the powerful character of the ultimate sports sedan, with a focus on honed lines, sculpted elegance, and pure beauty. Standard features on the 2016 Jaguar XJ include a redesigned instrument cluster with new graphics and an 8-inch navigation display screen that operates the multimedia features. The new XJ cabins offer standard front and rear heated and ventilated seats with leather upholstery and multiple levels of power adjustability. Driver assistance technology has taken a leap forward in recent years, and Jaguar is no exception. Standard tech features include blind spot monitoring, intelligent start/stop functionality to improve fuel economy, and a JaguarDrive knob to select driving modes. High-tech features like traffic sign recognition and adaptive front headlights make driving easier than ever. It doesn’t stop there, however. Optional features abound on the 2016 Jaguar XJ, and different trim levels offer different features as well. An optional all-surface control system can keep your drive safe in all kinds of weather. With so much to look forward to, it’s a shame we have to wait for the 2016 model year. 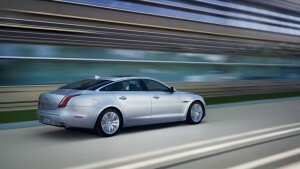 For more information on the Jaguar XJ, contact us at Jaguar Freeport today. You can get a hold of us online or just give us a call at (877) 373-4240.